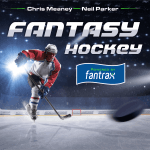 Some injuries and close calls highlight this edition of the fantasy hockey goalie report. 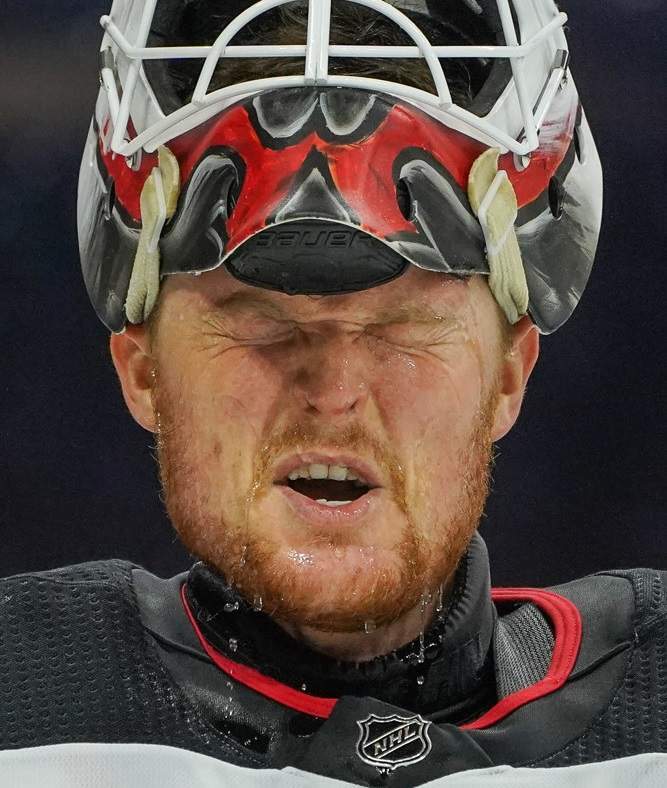 Cory Schneider, NJD: Schneider (abdomen) was called up after his conditioning stint in the AHL. He took on the Islanders, where he stopped 27 of 28 shots, but was defeated in the shootout. He came so close to ending his year-long win drought, but his strong play suggests he’s feeling more comfortable now. MacKenzie Blackwood was sent down to make room for Schneider. The Devils have four games this week, facing off against St. Louis, Chicago, Minnesota and Buffalo. Ben Bishop, DAL: Big Ben was placed on injured reserve with an undisclosed injury. He hasn’t played since Monday but was expected to return Saturday. This rules that out, making Tuesday the earliest he can return. If he’s to miss an extended period of time, it would be a huge blow to the Stars in their playoff push, and also for fantasy owners relying on him. He’s been one of the best goaltenders in the game this year, posting a 19-12-2 record with a 2.30 GAA and .924 save percentage. Dallas has three games this week, versus the Panthers, Lightning, and Hurricanes. Each game is on the road, where the Stars have a 10-13-3 record. Matt Murray, PIT: Murray was forced to miss Thursday’s meeting with Florida due to an upper body injury. He participated in Friday’s practice but hasn’t been confirmed to be available for Saturday’s contest in Tampa Bay. It sounds like he won’t miss much more time, but this could lead to the Penguins giving some more crease time to Casey DeSmith in the short term. After an impressive nine-game win streak, Murray has slowed down a bit lately, dropping four of his past six starts. The Penguins will face off against the Flyers, Oilers, Flames, and Rangers this week. John Gibson, ANA: Gibson (undisclosed) didn’t play the third period of Thursday’s game with the Senators for precautionary reasons. It’s unknown if he’ll miss more time, but it would leave the Ducks in quite a bind if he does. They’re already without Ryan Miller, who remains out longer than anticipated with a knee injury. The Ducks have been free falling in the standings, dropping 18 of their last 20 games. They’ve been outscored 31-6 during their current seven-game losing streak, leaving them with 21 wins, the fewest of any Western Conference team. Anaheim hosts Vancouver, Boston, and Washington this week. Even if Gibson is healthy, it may be best to avoid the Ducks entirely until they snap out of this funk. Thatcher Demko, VAN: The youngster is expected to miss just over a week, after injuring his knee in warmups for Monday’s game against the Flyers. He’s only appeared in one game this year, a 4-3 win over the Sabres on January 18. Jacob Markstrom is starting every game for the Canucks, so Demko’s unavailability shouldn’t affect too many fantasy owners. Michael DiPietro is on the roster as an emergency call up for the time being. The Canucks have four games this week, against the Sharks twice, as well as Anaheim and Los Angeles. There is a back-to-back involved, but it’s hard to imagine the 19-year-old DiPietro getting a start. Demko likely would have gotten back in the crease here but will need to wait to make another appearance. Tuukka Rask, BOS: The netminder surprisingly only missed a single game from the concussion he sustained right before the All-Star break. He has started three of Boston’s past four contests, winning two of them, one via a shutout. Even in the game he did lose he looked sharp in, stopping 38 of 41 shots on goal. After Jaroslav Halak stole the reigns early in the season, Rask has since won the crease back, playing in 11 of Boston’s last 16 contests. The Bruins have three games this week, facing the Blackhawks, Ducks, and Kings. Other Injuries: Corey Crawford, CHI (concussion) and Antti Raanta, ARZ (lower body) both remain out indefinitely. Philadelphia Flyers: The Broad Street Bullies have a pair of back-to-backs this week, where they will meet the Penguins and Wild, followed by a home-and-home with the Red Wings. Brian Elliott could return this week, but will likely need a conditioning assignment in the AHL first, seeing that his lower body injury has kept him off the ice since November 15. Carter Hart is proving he can handle life in the NHL, and is in the midst of a seven-game win streak. Anthony Stolarz has played better recently – he shut out the Rangers before falling to the Kings in a shootout Thursday night. Expect Hart and Stolarz to each get two starts this week, unless Elliott returns quicker than what’s expected. Other teams with four games this week include: Detroit Red Wings, New Jersey Devils, Pittsburgh Penguins, St. Louis Blues, Vancouver Canucks, and the Washington Capitals. In a rare occurrence, there are no teams that play fewer than three games. You won’t have to worry about not getting enough starts this week.